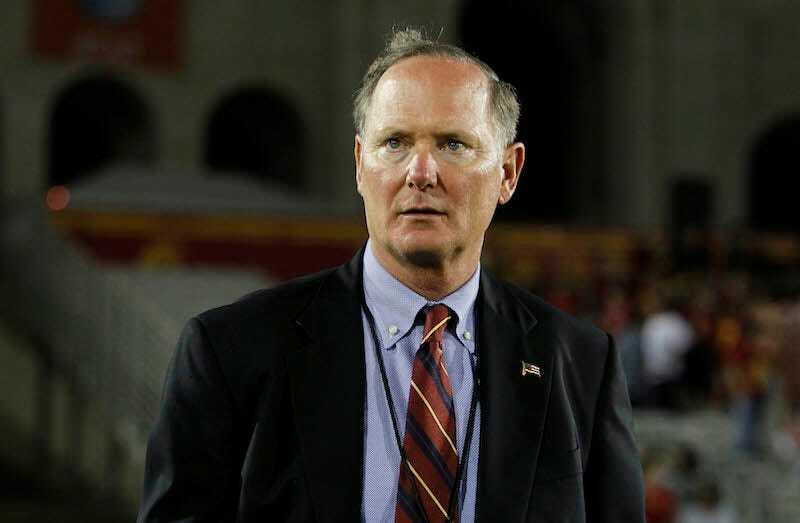 USC athletic director Pat Haden was hospitalized after he felt lightheaded on campus near Heritage Hall today. An ambulance took Haden to his doctor. Haden was walking back from an on-campus meeting this morning and felt lightheaded, similar to how he felt at the Notre Dame game last October. He sat down outside Heritage Hall and the athletic department’s medical personnel attended to him. Haden was alert and talking as he walked under his own power up to his office in Heritage Hall. Medical personnel continued to attend to him there before transporting him to his doctor off campus. Last Friday, school president C.L. Max Nikias had announced that Haden would be stepping down from his role on June 30.